During my fairy tale unit, I wanted to keep everything centered around fairy tales or fractured fairy tales. 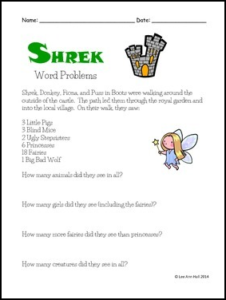 This is a math worksheet that uses characters from Shrek in the word problems. Both addition and subtraction.